← Happy Birthday to me~ A Gift made from part of a Tree! So a few posts ago, I was talking about my troubles with my Gamayun Bird Shawl and even before that I was posting about the planning of it to have a colorway similar to the Evening Grosbeak female birds we get here, because I find their grey and yellow to be rather lovely. I am ready to say that I finally finished my shawl! Normally I post inside pictures, but today was just too nice of a day to not get my bird in the sun! This was the first charted lace knit project I’ve ever tried. And so I made one kind of major mistake… I read the chart left to right, as I would read a book or a cross stitch chart. But in actuality, knit charts are supposed to be knit right to left, the opposite way. Now I was fortunate in that this is a fairly symmetrical pattern so when I discovered my error as I was about to forge onto chart three… I was able to read stitches and adjust my pattern to turn out and not frog back for the bazzillionth time. So technically speaking this is a mirror version of the pattern, but I have this rule that if you can look at it with the eyes of someone that didn’t knit it and it and the issue is not noticeable, then you should just chalk it up to the field of “one of a kind” and not a mistake of epic proportions. Beautiful! Lace, it’s the one technique left for me to try. I’m searching for the right pattern. Gamayn Bird looks too difficult. Gamayun isn’t too difficult as far as stitches go, but it is a bit more complex in repeats. 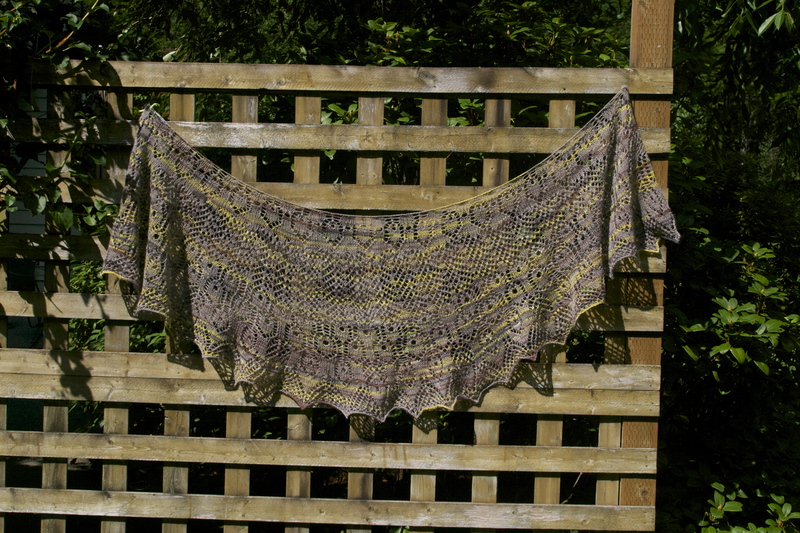 You may want to look at Spring Thaw (http://www.ravelry.com/patterns/library/spring-thaw-shawl) and see if that is one you like. I cast on just a couple days ago and its simple enough I could probably have done it while on vacation. I haven’t gotten to the bottom edging yet, but it may be a good starter to try. Both charted and written directions are included. Thanks. Went to add it to my favorites and saw it was already there. Looks perfect and will have a go. Look forward to seeing yours. 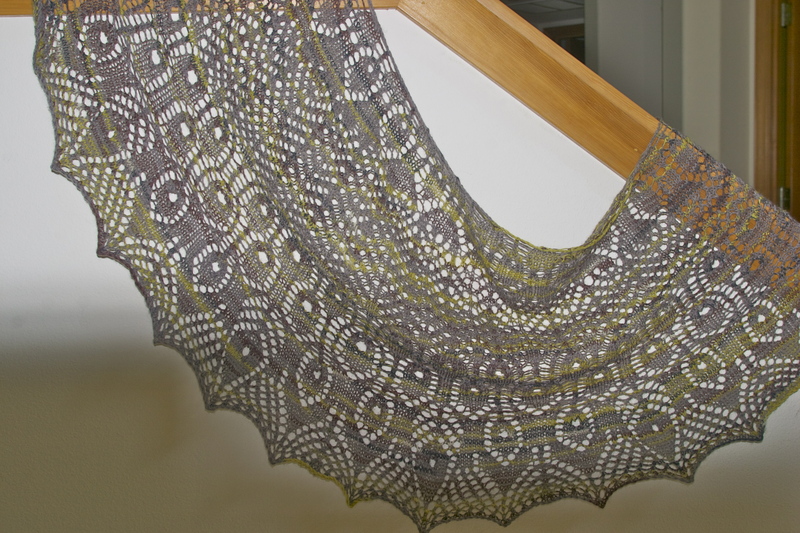 I’ve gotten bit by a shawl knitting bug this year it seems!